Below is another instance of notification -- in fact, the NINTH KNOWN VICTIM . . . and there are obviously MANY more. Subject: Re: Your Lack of Response . . . I can truly say, I appreciate the humor in your emails. To answer a few of your questions, I meant to type IC3 in lieu of IBC3. As I am sure you are already aware, this is usually the first Govt agency to be notified for online scams. You seem to be knowledgable with a computer if you have as many sites and blogs as you claim. That being said, Google it if you are not educated yet on what IC3 is. It 's okay Spencer. Don't get worked up yet. :) I'm not saying you aren't legit with your previous claims. I just haven't had the opportunity in previous days to research you or your situation as my work keeps me pretty busy. To answer another question for you, no, I am not f*<ck*n kidding you. I don't know anything about you besides one blog and a business website. Hopefully, after I research your situation more this weekend, I will be enlightened as you have my curiosity up. To clear this up, I "found you" by typing in the Potwin, KS, address in Google and one website came up with your blog. It interested me enough to contact you to request more information. I do like your statement that any enemy of my enemy is a friend of mine.....That being said, I will inform you of a few details from my situation and more to follow later this weekend. Probably unlike you, I only lost $1,200. I lost this from being stupid enough to fall for a Craigslist/eBay scam. The seller ("David Branham" from "Greenfield, MA") claimed to be a soldier being deployed and needed to sell some Kentucky Derby tickets b/c he was being deployed prior to the race. The eBay seller, "Robert Peters" (from "Boston, MA"), is who I wired money to in Massachussetts via Western Union and ultimately picked up the money. The following email addresses were used in the scam: dbranham15@gmail.com & cockiejohn49@gmail.com. Do not get me wrong, I would love more than anything to get my money back, but thats not why I am wasting my time tracking this garbage down. I do not want this guy/girl, or these people, taking $1,200 from anyone else b/c that amount of money in our state of economy could really ruin someone's life. I do want you to keep my name an contact information anonymous if you share this info on any of your blogs. I believe that two minds are smarter than one and look forward to discussing in more detail our situations. P.S. If you still think I'm playing on the other side of the fence, you probably haven't learned much during your years of investigating as these scam artists don't stay in contact once the monies are in their hands. Just had to throw one more smart a*s comment in there to keep the score close to being tied. Your lack of response would suggest the "realm of possibility" may have some credence. Notwithstanding, I would be willing to take you up on your offer to speak directly. Please provide a phone # and a time most convenient for you to speak, and I will plan accordingly. 4) As the saying goes: "an enemy of my enemy is my friend"
With that said, are you f#*+ing kidding me? "Not too familiar"? I've got over a dozen websites, with hundreds of thousands of pages of documents and many hours of videos articulating my situation and quest in painstaking detail -- remember, that's how YOU found ME. And BTW, what the hell is "IBC3"? Based on the aforesaid, it would appear to be within the realm of possibility that you are involved with those responsible and are merely trying to find out what I know to thwart my efforts. So if you are legit, it frankly behooves you to come clean with me ASAP. I am still not too familiar with your case in particular, and considering my own circumstances I am hesitant to provide any information to anyone other than a direct federal or state representative. If you would like to speak directly I am open to that opportunity, but would also like your contact for FBI and/or US Justice Dept who could benefit from my information. I already have a complaint filed with IBC3 so they do in fact have some of my information already. Please provide more particulars, which will be forwarded to the US Justice Dept. / FBI. This is much bigger than ever thought. 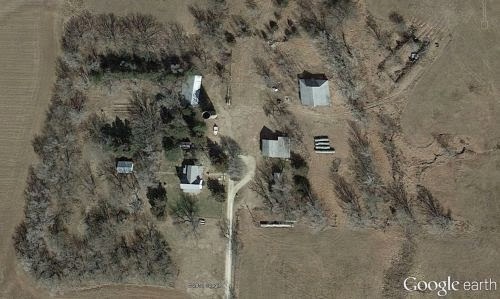 What is the latest on the Kansas farmhouse scandal? I have been recently scammed while attempting to purchase tickets to an event. The "seller" had a lot of communication with me via email and I was able to find one email that had a traceable IP address that I tracked to the same location in Potwin, KS. Any additional information you can provide me would be greatly appreciated.